Two more Russian regional airlines have opted for the Sukhoi Superjet 100 (SSJ100) aircraft. Yakutia-based Alrosa Airlines and Moscow-headquartered RusLine have both signed letters of intent for 12-year terms with the State Transport Leasing Company (known by its Russian acronym GTLK) for two each of the Russian-built regional jets. The documents were signed at the Transport Week-2018 trade show currently being held in Moscow. Both airlines have yet to operate the type, although the Mirny, Yakutia-based Alrosa Airlines did consider the SSJ100 option in its fleet renewal plans as recently as last year. Eventually it selected the Boeing 737-700 as being more suitable, especially in terms of its range capabilities and currently has two of this type in its fleet, along with three Boeing 737-800s as well as the Soviet/Russian-made An-2, An-24RV, An-26-100, An-38-100, Il-76TD and Tu-154 types. In the period from January to September of this year Alrosa, the diamond mining giant-owned airline, carried 410,571 passengers, registering a 17 per cent year-on-year increase and placing it in 22nd place in the league table of all Russian passenger airlines. RusLine, which describes itself as ‘a classic regional airline’, operates a unified fleet of 21 50-seat Bombardier CRJ100/200 jets. It has shown interest in the Superjet 100 before, but has also never operated the type. Taking SSJ100s may now make more sense though, as RusLine has become a feeder carrier for UTair, one of the country’s major airlines based at Moscow’s Vnukovo airport. 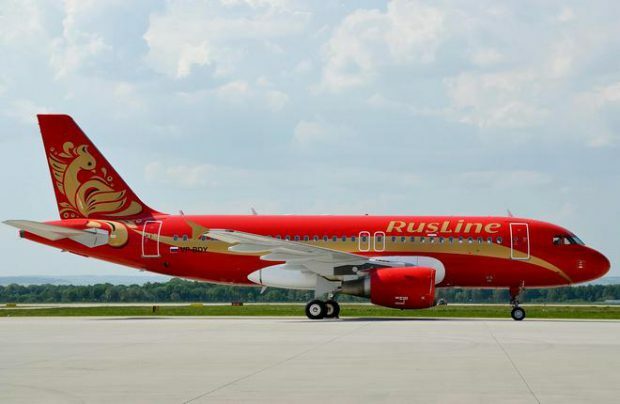 RusLine enjoyed some limited experience of big jet operations when it leased two Airbus A319s in 2012-2013. Its current operational results place it at 20th in the ranking of Russian passenger carriers. Earlier this year, to promote the SSJ100, which is manufactured by Sukhoi Civil Aircraft Company (SCAC), the Russian government topped up the registered capital of state-run GTLK, the country’s biggest leasing company, by 9.8 million roubles designated for the purchase of eight SSJ100s set for delivery in 2018 and 2019. Of this batch, four aircraft will be delivered to Severstal Airlines and with the latest announcement, Alrosa and RusLine have emerged as potential customers for the remaining four. GTLK has been participating in the SSJ100 incentive programme through offering operational and financial lease contracts since 2015. The total investment for stimulating SSJ100 sales is now nearing 89.8 billion roubles (including subsidies planned for 2018). Of the programme’s current total of 44 units, as of today, GTLK has delivered 36 Sukhoi Superjet 100s to customers.